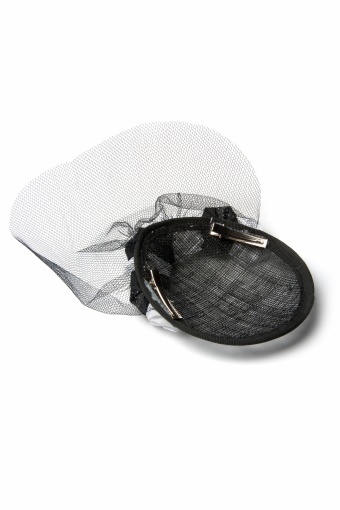 The oval 'hat' is fastened with 2 metal hair clips, the roses are stiched. 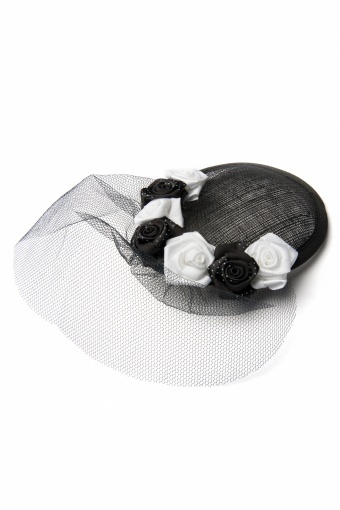 40s Blanche Fascinator Roses black white polkadots from the Swedish designer Miss Candyfloss. Beautiful handmade fascinator covered with white and black satin roses with small dots and ofcourse a small black veil for the mystic touch. Complete your styling with this must-have headpiece for retro vintage loving ladies! More fascinators.